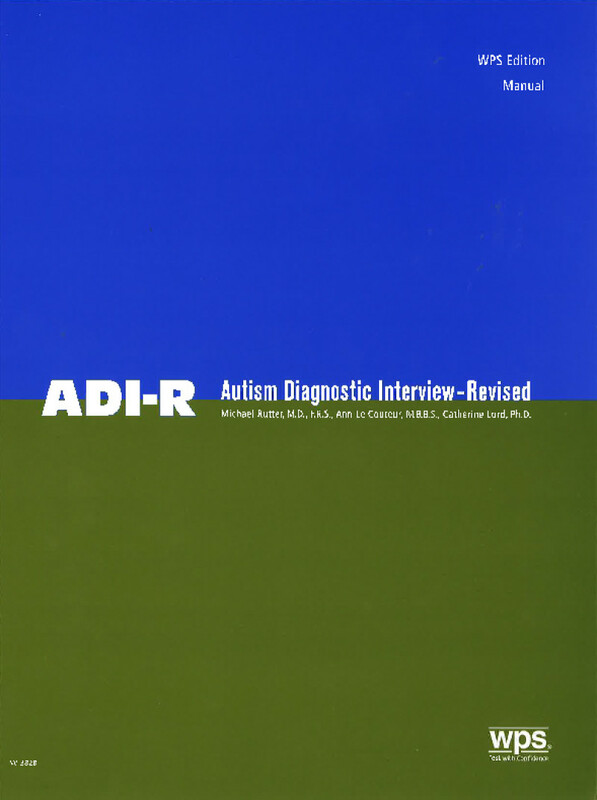 The ADI-R is used to assess individuals suspected of having autism or other autism spectrum disorders. It is useful as an aid to formal diagnosis as well as treatment and educational planning. It can be used with children and adults with a developmental age above 2 years. We also offer comprehensive training in the ADI-R - see upcoming courses here. Suitable for children and adults with a mental age above 2 years. The ADI-R has proven effectiveness in differentiating autism from other developmental disorders, assessing syndrome boundaries, identifying new sub-groups and quantifying autistic symptomatology. Clinically relevant behaviours such as aggression, self injury and possible epileptic features. To administer ADI-R, an experienced clinical interviewer questions a parent or caregiver who is familiar with the developmental history and current behaviour of the individual being evaluated. Administration of the ADI-R requires use of the ADI-R Interview Protocol booklet which contains the 93 items. Following a standardised procedure, the interviewer records and codes the informant's responses in the Interview Protocol booklet. Results are scored and interpreted using a Diagnostic Algorithm or a Current Behaviour Algorithm or both depending on the purpose of the evaluation. The ADI-R algorithms are multi-page forms on which codings from up to 42 of the interview items are scored and systematically combined to produce the formal, interpretable results. Where the purpose of the assessment is formal diagnosis with reference to the full developmental history of the individual, one of the two age-related Diagnostic Algorithms is used. If the purpose of the assessment is for treatment planning then one of the three age-related Current Life Algorithms is used. In cases where results are to be used for both purposes then both a Diagnostic and a Current Behaviour Algorithm are completed on the basis of data from one interview.